Scientists around the world accept that climate change is causing sea levels to rise, but how exactly does that happen? For years, we have heard that glaciers in the North and South poles are melting, that polar bears are dying, and that plants and animals are shifting their ranges. With millions of people living in coastal cities, sea level rise might be at the top of our concerns. The different types of ice: wow, that’s cold! The first thing about sea level rise is that there are two types of ice, with important distinctions between the two. Sea ice floats atop the ocean and when it melts, it doesn’t change the sea level. 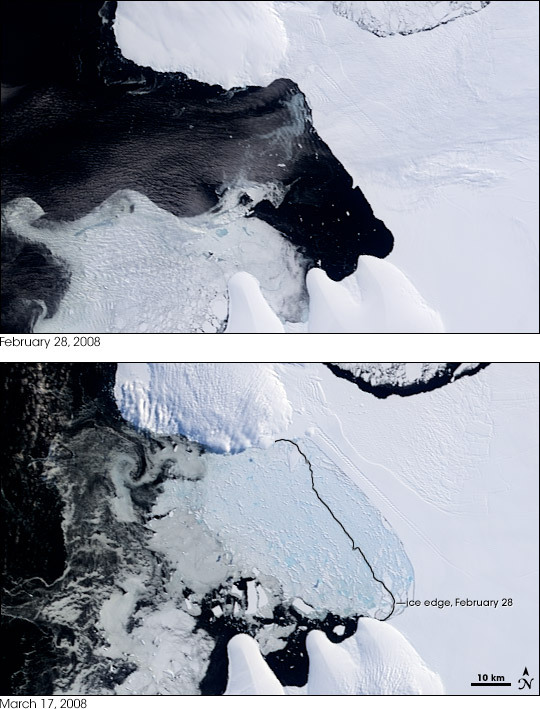 Land ice, on the other hand, does contribute to sea level rise. We can use sea ice and land ice to make a distinction between the Arctic (North Pole) and the Antarctic (South Pole). The Arctic is comprised of floating sea ice, and the Antarctic is a huge land mass covered by ice, with some floating sea ice surrounding it. The composition of ice at these two poles greatly affect how they respond to climate change. How is the ice melting? A new study that came out in Science Advances looks at how ice melts in Antarctica. When we think about ice melting, it’s easy to think about it melting from the top-down, since intuitively, we know the sun’s shining on top of the ice. 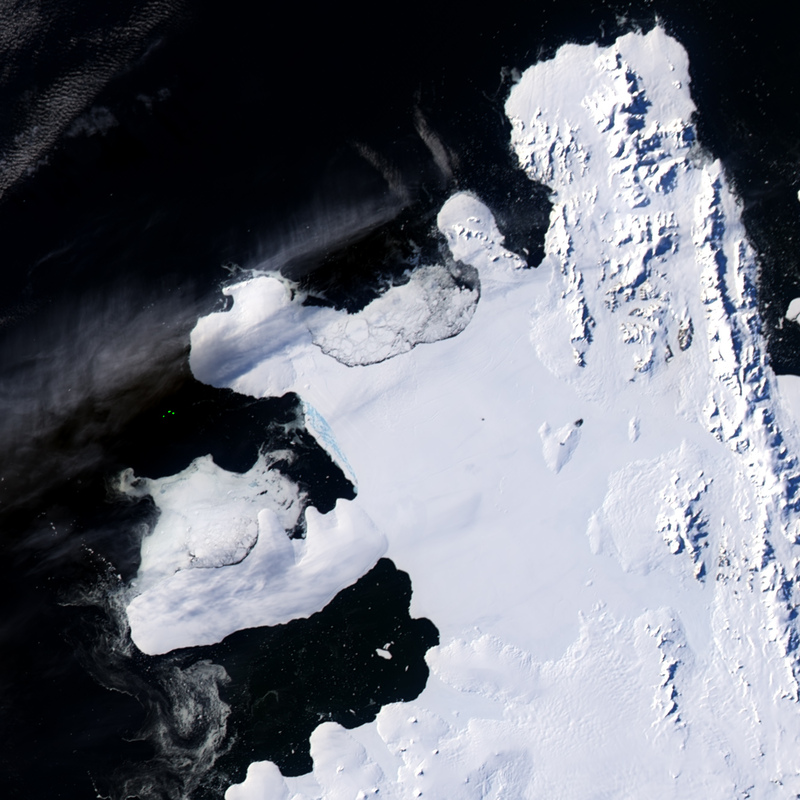 However, in Antarctica, it can also be warmed from below: much of the ice juts out from the land over the water. If the ocean warms up, it heats the bottom of the ice. But how does that impact the surrounding waters? To answer these questions, Alessandro Silvano and his team looked at both temperature and salinity (saltiness) at three locations in Antarctica. In Antarctica, the surface water tends to be cooler, and as a result, saltier. When water becomes more dense (heavier), it sinks. When not-salty ice melts into the ocean, it affects how the water moves up and down the water column. Silvano and his team observed that the freshwater coming into these areas prevents the cool water from sinking down to the sea floor. When this happens, the water underneath the surface retains its heat, melting the bottom of the ice. Not only did the researchers find that the bottom of the ice sheets are in fact melting, but they also found that open areas called “polynyas” are accelerating it. Polynyas lie between land ice and sea ice in Antarctica. In these pockets, the cold, salty water sinks down to the bottom, preventing the land ice from melting too fast; they act as barriers for the land masses. However, when freshwater enters these areas, it prevents the cold water from sinking, because it’s no longer heavy enough. The cycle continues: melting ice, freshwater being adding, warm water remaining beneath the surface, leading to more melting, and so on. The study found not only that the Antarctic Ice Sheets are indeed melting from below, but the protective polynyas are accelerating melting faster than expected. This feedback loop to climate change is leaving both the futures of Antarctica and of our coastlines unclear. It’s time to start taking scientists seriously and really push to slow down climate change before we are all underwater. Featured Image: NASA Earth Observatory. Accessed 9.21.2018. Link.